When considering stained glass styles for your Houston home, business, or religious building, there are numerous options to consider. 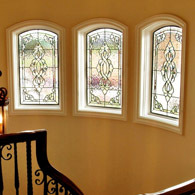 Because every window we build is custom designed, match any style, accommodate size or shaped window, and create a design which it truly unique to your home. Our talented designers will used the latest technology to craft the perfect aesthetic while our builders will use their time tested methods of craftsmanship to create what we proudly call the worlds most beautiful windows. 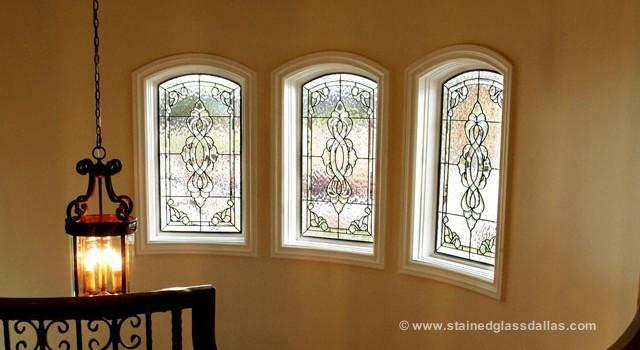 If you are in need of some inspiration concerning the types of stained glass you might like for your project, check out our short lists of the most popular stained glass styles for the Houston area. Many new homes install leaded and beveled glass windows that use only clear glass. While this may be counter intuitive for a stained glass company, we find that clear glass provides a timeless elegance which can survive changes in style and decoration. The texture in these glasses can provide varied degrees of privacy while the bevels can gleam in the sunlight and provide stunning custom accents to your home. These designs can range from the traditional flowing shapes to more contemporary squares and rectangles. 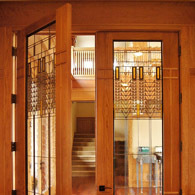 When visiting many homes, the stained glass style that many people reference is that of the famous architect, Frank Lloyd Wright. Emphasize geometric patterns and earthy colors, this style and it’s contemporary peers (Prairie & Craftsman) are a throwback to the turn of the 20th century and can bring an authentic aesthetic to many projects. 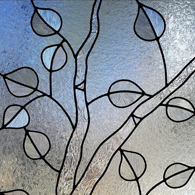 Rendering floral and other natural patters in stained glass is a popular design choice for many homeowners. We had completed thousands of floral designs that include roses, tulips, dogwoods, and hundreds of other flowers. In recent years we have also begun to create our signature “Aspen” designs, which (both colored and clear) enable homeowners to bring their love of the outdoors into their home. 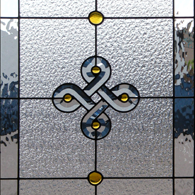 Celtic windows are some of our personal favorites given our owner Martin Faith’s Scottish roots. These designs often incorporate the Celtic knot in their design and builds on the traditional themes that are attached to each of these designs. Mackintosh stained glass styles are flowing and colorful, originating from the Art Nouveau school in the late 19th century. 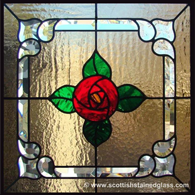 The Mackintosh rose is perhaps the most famous of all stained glass designs.